Milk Chocolate Foiled Hearts. Chocolate Store, the online candy store with chocolate and candy. 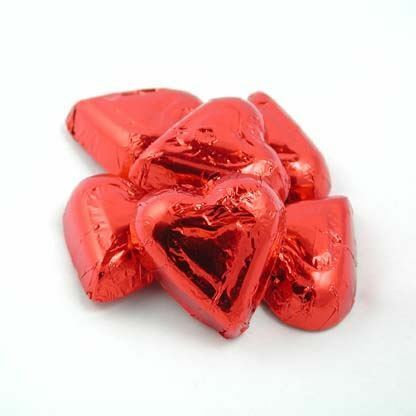 Milk Chocolate Foiled Hearts – Milk Chocolate hearts foiled in a brilliant red foil. Just think of all the ways you could use them to show your affection for someone special in your life. About 1-1/2 inches in diameter. Approximately 60 pieces to a pound.